Your home's ductwork is often one of the most disregarded necessities, buried in the dank basement, only to be noticed on those rare trips down the cellar steps. However, without those ducts your forced hot air furnace would be completely useless and if your ductwork is sized wrong, dilapidated or missing in some spots, your heating and air conditioning bills could be unusually high. Don't let improper ductwork steal your energy savings! 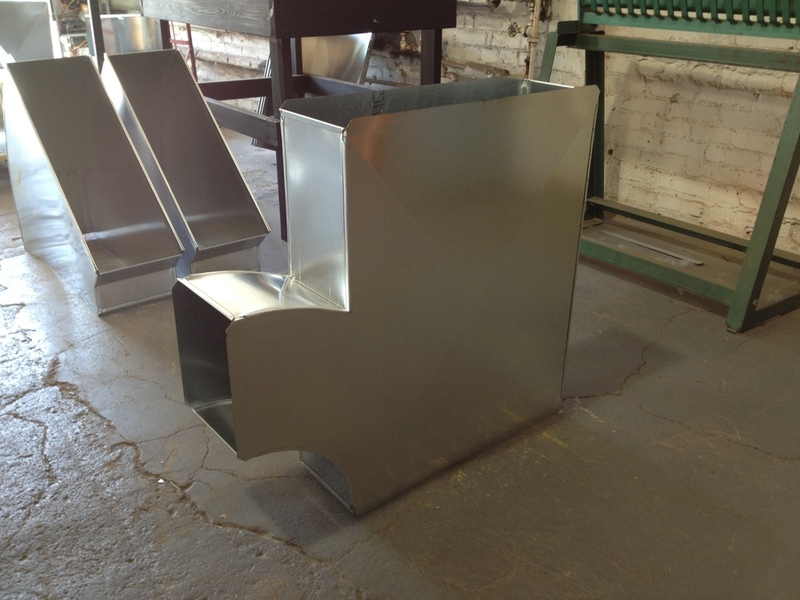 Here at K & E Sheet Metal we specialize in fabricating residential HVAC custom ductwork to fit your home's existing or new forced air heating/cooling system. Our shop is equipped to fabricate custom duct transitions, elbows, offsets and more, quickly and accurately with our new CNC plasma cutting system. Working with you, the customer, making sure you're getting the right duct for your home. Whether you are a weekend warrior installing your own, have a contractor needing custom HVAC ductwork, or if local, need us to come and install the entire job, we are here to make sure you get a quality product for the best price. Are you a heating and cooling contractor? We have provided many local contactors, HVAC contractors and supply houses with all kinds of HVAC custom ductwork and fittings for over 20 years. Please contact the fabrication shop for pricing and availability on larger jobs or change-outs needing custom sheet metal fabrication or installation.